WE'RE ALL DAMNED. IT'S JUST A QUESTION OF WHEN. As his estranged father lies on his deathbed, Paul Steele is stunned by his father's admission: Many years ago, he committed a ghastly crime and was never caught. As if this isn't disturbing enough, his freedom was the result of a black-magic spell. As his last breath falls from his lips, he warns Paul that he should expect a visit from a mysterious stranger. "He'll be coming, son. A dark man. He'll come from the shadows." That man is Haughnt. 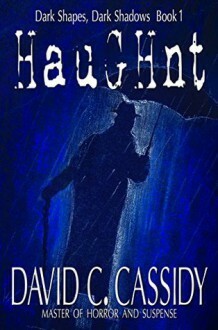 Dark Shapes, Dark Shadows Book 1 In his chilling series of eerie short stories, award-winning author David C. Cassidy draws you into a twisted realm of horror, where reality is a nightmare and your darkest fears lurk a heartbeat away. Welcome to Dark Shapes, Dark Shadows. * Each book in this series contains one story or novella. Categories: horror novels, horror books, scary novels, scary books, supernatural fiction, supernatural mystery, supernatural thrillers.